Due to poor sales, Verizon just slashed the prices of the Palm Pre Plus and Pixi Plus in several ways. Oddly enough, those cuts make Palm’s underdog smartphones ideal iPad companions. 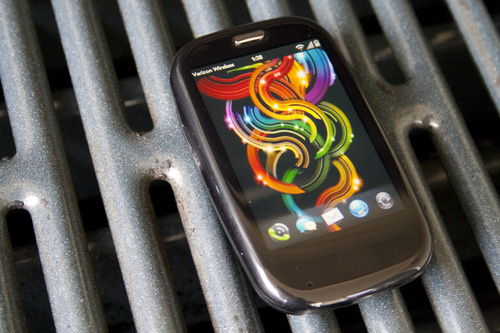 Pity Palm, and pity both the Pre and its operating system, WebOS. Palm can’t compete against the likes of Google, Apple, and Microsoft, the monoliths slugging it out for smartphone supremacy: It doesn’t have the bottomless pockets, the lucrative media content partners, nor the sheer size to pump out a new handset every six months. Every Palm story of late has had the same theme: Palm is dying. And it might be true, but it’s really not their fault. After all, Palm’s WebOS, the operating system underlying the Pre (Plus) and Pixi (Plus), is more polished than Android and in many ways more capable than the iPhone (it offers elegant multitasking, for one thing). Verizon’s recent price slash of the Plus versions of the two WebOS phones might be a move of desperation, but that doesn’t mean it’s not an absolutely amazing deal–maybe especially for someone with an iPad. Verizon’s price cut comes in a three-pronged attack. First, the prices are cut to $50 (Pre Plus) and $30 (Pixi Plus) with contract. Second, they’ve instituted a buy-one-get-one-free deal, similar to the deal they’ve run on the Android-running Droid and Droid Eris. And most importantly, most enticingly, they’ve made the WebOS phones’ rare mobile hotspot capability free, instead of the typical $60 per month fee. That is, to be frank, an outrageous deal. Palm’s twin WebOS phones are two of the very few phones to offer the mobile hotspot feature (HTC‘s upcoming Evo 4G will also have it). Essentially, it converts your phone’s 3G (in this case, Verizon’s excellent 3G CDMA network) into Wi-Fi, so that other devices can use it. Smartphones, laptops, portable media players, and tablets, up to four at a time, will simply see a Palm network show up in their list of available Wi-Fi networks, and will be able to use Verizon’s 3G through that. Both Verizon and Sprint offer separate devices for this specific purpose, the Verizon MiFi and Sprint Overdrive, but they cost a couple hundred dollars for the device and then around $60 per month for the service. Verizon’s move is unprecedented: they’re offering this fairly expensive service completely free, just to sell more Palm phones. So, for those on the fence about buying an iPad, here’s an idea: Switch to Palm/Verizon. Save on the cost of the phone. Save the $60 3G-to-wifi charge. Save the extra $130 for the iPad’s 3G-compatible version. Use all of those savings to justify the purchase of the basic iPad, and then use its Wi-Fi connection anywhere you take your Palm Pre Plus. It’s pretty much a win all around; Verizon’s 3G is typically better than AT&T’s (which you’d be getting with a 3G iPad), and the Pre Plus is an excellent, well-reviewed phone, if slightly outdated. Sure, this price cut probably indicates new Palm hardware in the near future–but it’s an absurdly good deal right now.